(A) struggles are resolved first at any story to which Struggling Artist is committed. 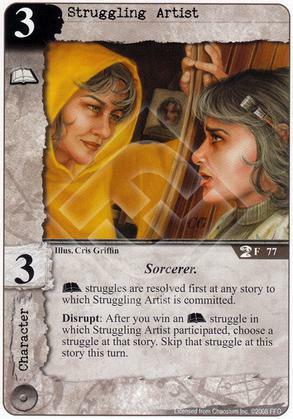 Disrupt: After you win an (A) struggle in which Struggling Artist participated, choose a struggle at that story. Skip that struggle at this story this turn.